SLU4KH Camo Khaki Uniform Shirt - EXCEL FR® ComforTouch® - 6 oz. 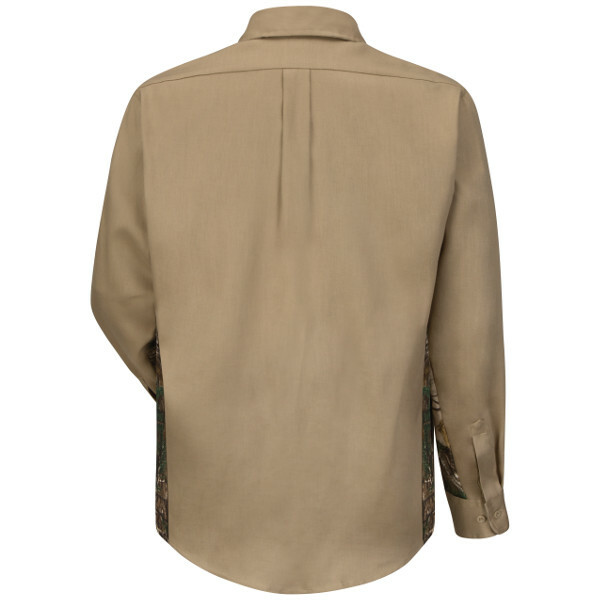 Home > SLU4KH Camo Khaki Uniform Shirt - EXCEL FR® ComforTouch® - 6 oz. 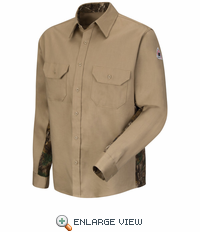 Camo Khaki Uniform Shirt - EXCEL FR® ComforTouch® - 6 oz. Fabric: EXCEL FR® ComforTouch® Flame-resistant, 6 oz. (205 g/m²), 88% Cotton/ 12% Nylon with Realtree Xtra® Camo Print trim in EXCEL FR® ComforTouch® Flame-resistant, 6.5 oz. (220 g/m²), 88% Cotton / 12% Nylon . Gusset side seam for ease of movement › Banded topstitched collar › Two chest pockets with button flap closures and sewn-in pencil stall › Placket front with button closure › Tailored sleeve placket › Topstitched cuff › Straight back yoke › Realtree Xtra® Camo print gusset, inside collar, and inside cuff. Protection: Arc Rating ATPV 8.7 calories/cm². 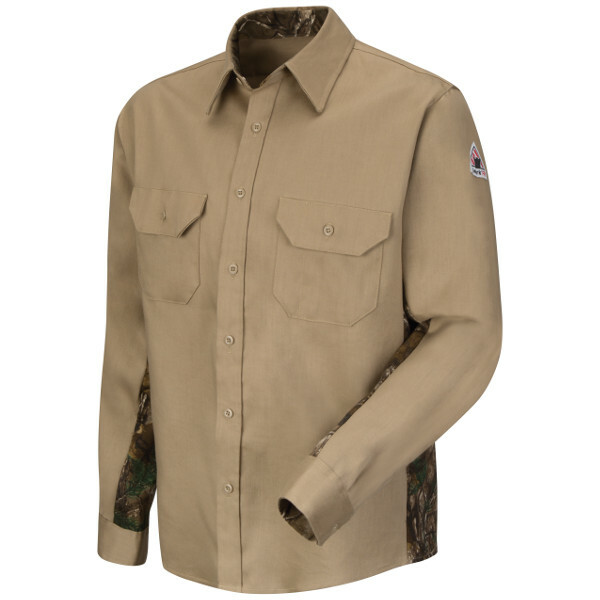 SLU4GY Camo Grey Uniform Shirt - EXCEL FR® ComforTouch® - 6 oz.